I’ve been using FreeConferenceCall.com and FreeConferencing.com to connect remotely with clients. I have been happy with my service from FreeConferencing and had switched from Webex after testing it. But, I was wondering how FreeConferencing was planning to monetize with all calls and conferences being free and zero advertising… but today I found out how – with a sister company called StartMeeting. A premium service for audio and web conferencing. I haven’t checked it out yet but I am confident that, based on their track record with me, it will deliver. I’ll let them tell you about it below. If anyone has experience with StartMeeting, can you share your experience? Cloud-Based Recording: User-friendly simultaneous recording of screen sharing and audio meetings, and files can be shared via Facebook and other platforms (Windows and Mac). Synchronized Audio Conferencing: Reservationless calls include toll, toll-free, and an integrated high-definition VoIP platform — all with a dedicated access number. Dedicated Meeting Credentials: Unlike some other audio/web services, hosts are given exclusive credentials to set up their meetings that never change. Screen Sharing: Unlimited screen sharing of content. Subscriptions are offered with 50, 200, 500, and 1,000 participant capacities. Meeting Wall: Customize it with colors, logos, profile pictures, and upload files or links that support the online meeting (without emailing the documents to participants). Audio Web Controls: Mute, lock, identify or disconnect a caller; enter lecture mode (one-way communication); and hold Q&A Sessions with participants. Enhanced Audio Features: Customize hold music and a greeting for participants entering the conference. I work at FreeConferenceCall.com and would like to share with you my experience with StartMeeting. It is a great new service that allows me to record both the audio and screen sharing sessions (both can also be recorded separately)! I use those recordings for training and showing my co-workers what I’m experiencing when using my computer, for example a compute error. I can easily share that recording via a url link, and even post it on facebook and twitter. Not only that, I host weekly calls with the marketing team where we have remote callers that dial in using the toll-free number provided and also over VoIP. Highly recommend this new service. No contracts, 30 days free, and a load of features for professional meetings. http://www.startmeeting.com. Thanks for sharing. 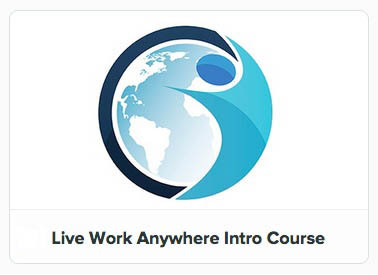 For the LiveWorkAnywhere Skillshare class we are looking for a service that allows a livestream or remote call in. It’s great to know that you get 30 days free. I’ll check it out.